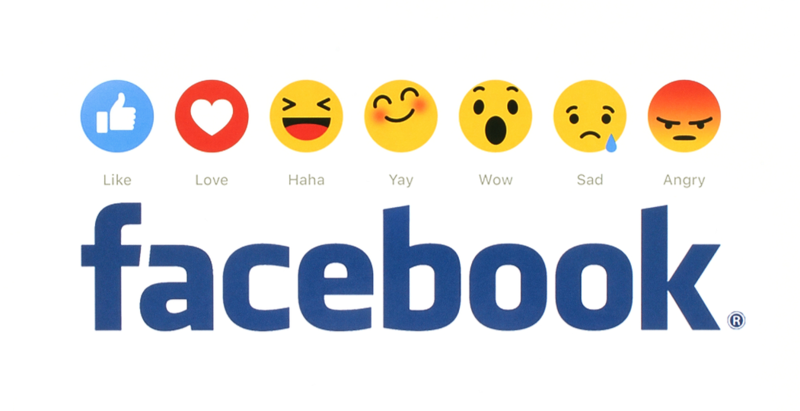 Has your Facebook engagement fallen flat recently? If so, you’re far from alone. Don’t sweat it though, there’s really no need to panic. This article is going to give you all of the information you need to dramatically improve your engagement on the big FB. There’s no messing about here, let’s get right down into the nitty-gritty with our first tip. Facebook isn’t the place for wallflowers. There are literally millions of people, brands and businesses all competing for attention. So, if you want to be heard you’ll need to get super social (it’s called social media for a reason) and show some personality. Showing personality should, in theory, be fairly easy for individuals. 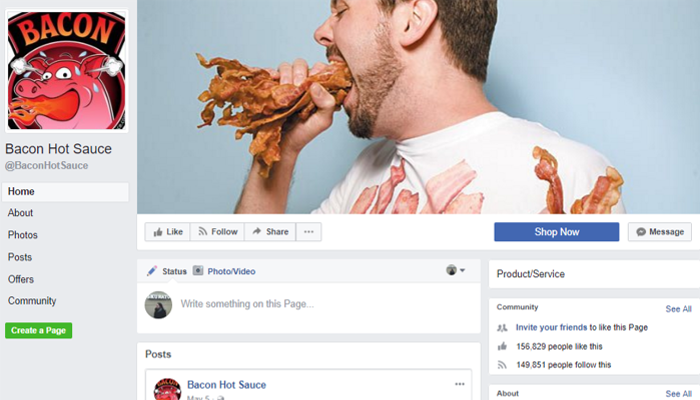 But many brands struggle to establish and maintain a core personality or even a consistent brand voice and it’s hurting their Facebook engagement figures. Every influencer, brand and business needs a strong persona. But how on earth do you establish yours? These five basic marketing personas date back to the 1960’s and if you’re interested you can read more about how to establish a unique brand personality in this informative article. Asking questions is one of the easiest and best ways to increase your engagement on any social media platform. Yes or no, this or that fill in the blank and opinion-based questions tend to get the most engagement on Facebook. You’ll be much more likely to get a response if you keep your questions nice and simple. This makes it easier for people to think of and ultimately give you a response. 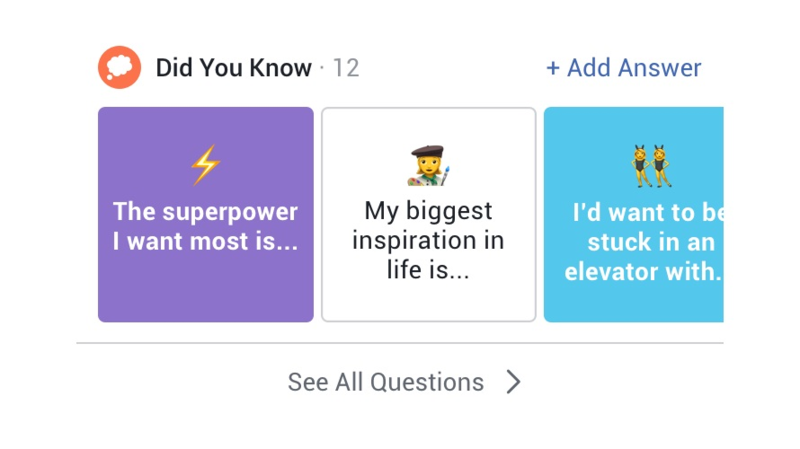 If you’re starved of post likes, shares and comments on Facebook, try posting a couple of the questions in this great article. Would you rather give up bathing for a month or the internet for a month? Tell us how someone made you smile today? What technology from a science fiction movie would you most like to own? What app could you not live without and why? 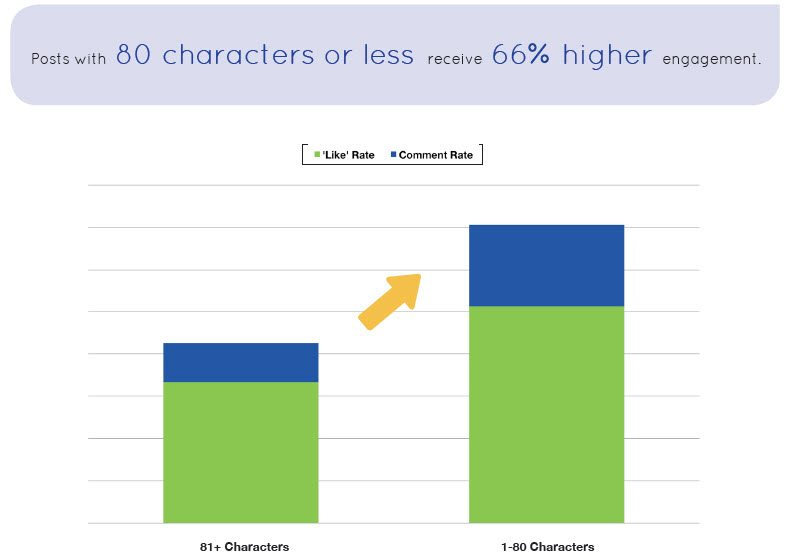 Photos on Facebook get 53% more likes and 104% more comments than the average post. They also get a whopping 84% more link clicks. If you want to maximise engagement, make sure that you are regularly posting plenty of high quality images. Images are fantastic for telling stories, getting a point across or just entertaining your fans. 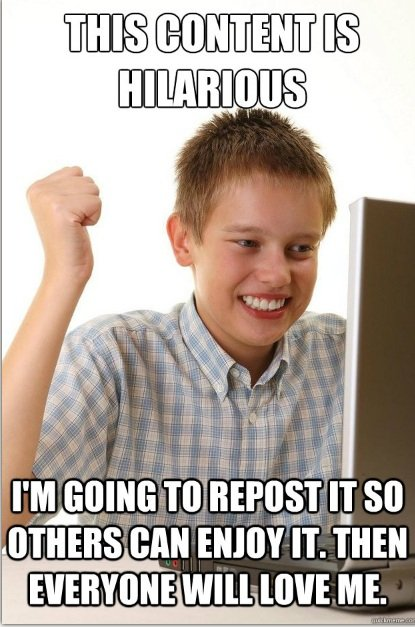 They will also bag you more exposure in the feed. All you need is a smartphone with a good quality camera and a little creativity to produce the kind of images that people want to share. Check out the example below. See that surface that looks like marble? Well, it’s actually a foam board covered in wallpaper! Pro tip. Brand your most awesome photos with your logo so that when they are shared everyone knows who the great images are coming from (and no-one can steal them)! Another good little social media marketing trick is to respond to comments and other people’s posts with photos. This should draw more attention to your brand and positively affect your engagement rates. Everyone loves an inside look. So why not give it to them? The main benefits of posting behind the scenes content are that it makes you seem more credible and interesting. Plus you get to promote your business without seeming overly promotional. Try showcasing your employees, your premises or office space or even your hometown to peak people’s interest. To get the maximum out of engagement you need to know what your audience responds to. Just how you know what type of jokes your friends will laugh at in the pub on a friday night, you need to know what kind of content makes your fans tick. Remember that it’s about them and not about you. So just because you find something interesting or inspiring doesn’t automatically mean that your fans will. The best way to get to know your audience is to experiment with content. Don’t be afraid to talk to your audience to ask them what they like and don’t like and why. Their responses will help you two-fold as you will get to learn what they want more of and get some direct engagement at the same time. It’s a great idea to study your Facebook Page Insights data and look for any information that will allow you to forge a deeper connection with your audience. 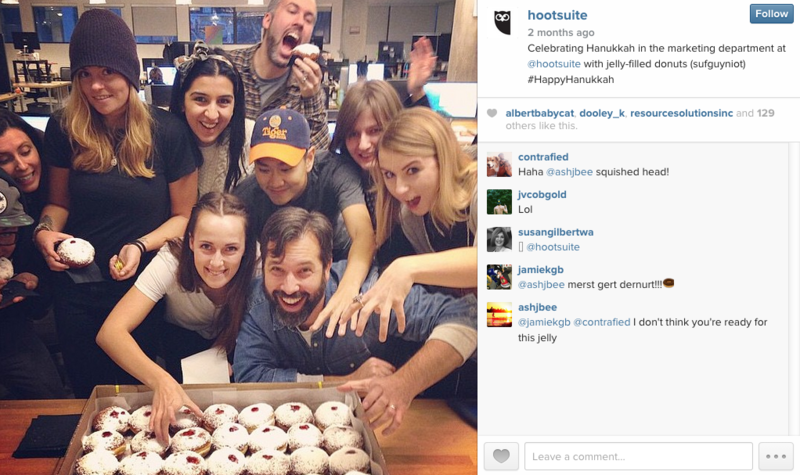 Does your audience prefer informational content, gorgeous photos or controversial discussions? Facebook page insights can help you find out this and so much more. Once you know the types of content your Facebook fans want to see, you’ll want to create a posting schedule. Having and sticking to a regular schedule let’s your fans know when they can expect new content from you, which means that they will be much more likely to engage as soon as you post. It’s important to know when your audience is most active on Facebook, as posting during these times will get you more likes, comments and shares. 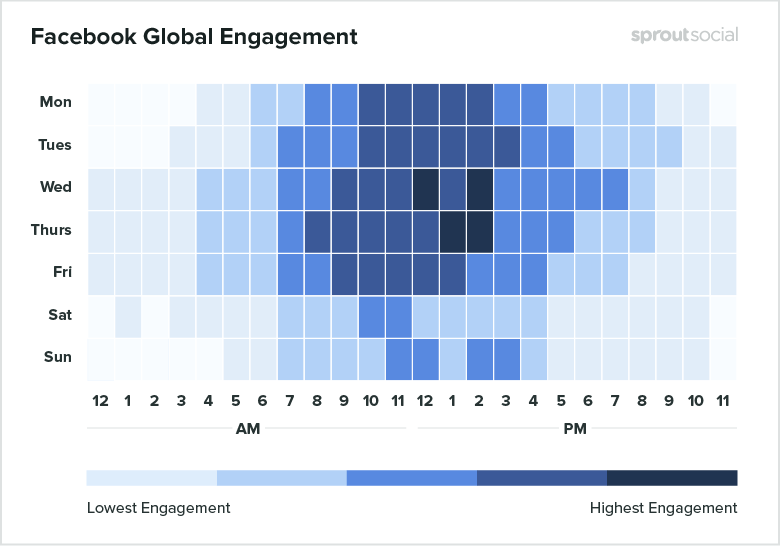 Different audiences will be active at different times, but below is a chart that gives a general picture of the times when Facebook currently gets the most activity. 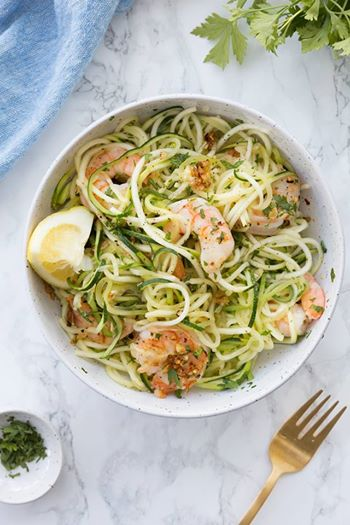 Facebook’s algorithm links organic reach to the number of likes comments and shares you get, So the more people engage the more people will see your content in the future. The most engaging content either teaches, entertains, informs or inspires. Make sure your content falls into one of these four categories and you can’t go wrong. The last thing people want is to hear your sales pitch, so try to resist the temptation to constantly sell yourself or your business. Instead, focus on creating content that makes people smile, makes them think or improves their lives in some small way. Keep it (very) short and sweet. 88% of Facebook users are on their mobiles. The average mobile user spends a miniscule 1.7 seconds consuming each piece of content. With so many people using their mobiles to look through Facebook, and making split-second judgements on your offerings, you need to keep your content short, simple and sweet to get their attention. Even the 12% of people who access Facebook through their PC or laptop will judge each piece of content you create in less than 3 seconds. Try posting quick questions, shocking statistics or witty statements alongside a picture to increase your chances of engagement. Make and post more videos. Video posts get higher engagement than photos, so you definitely want to be putting some video content out there. Unfortunately, simply copying and pasting links to your YouTube videos just don’t cut it on Facebook anymore. However, Facebook actively supports users that post video to the platform directly. If you want to increase your engagement as well as your visibility, try posting fresh video content straight to Facebook regularly. Consider creating vertical videos in order to maximize the available space on mobile. 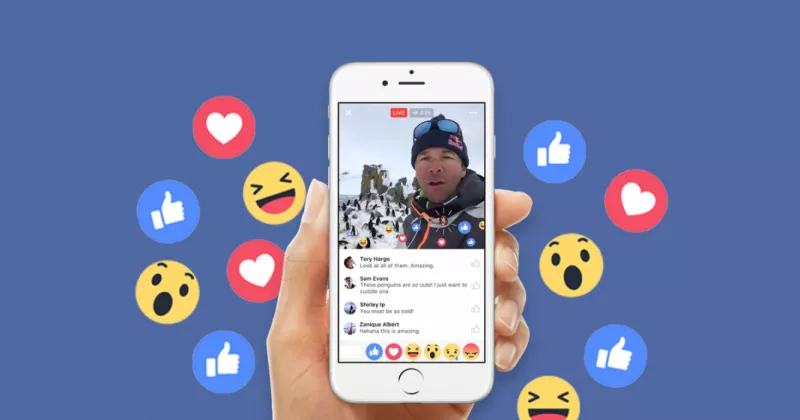 For the highest possible video engagement levels on Facebook, you’ll need to go live. Live video gets on average 6 times more interaction than pre-recorded video which is a great excuse to incorporate it into your content marketing strategy. Just make sure that you have a compelling reason to go live (and nerves of steel!). One of the simplest ways to get more engagement on Facebook is to engage with your audience yourself. No one likes to be ignored and engagement is a two-way street people! So make sure that you set aside some time to respond to your fans comments. If you have a medium to large business then make sure that you have a team in place to handle this. Believe me, it will pay off massively. You don’t need to write an essay, just making a simple acknowledgement is often enough. If you use Facebook Messenger, aim to get the coveted “Very Responsive” badge which lets people know That you are always quick to answer any questions and concerns. So there you have it. You are now armed with all the very best tips and tricks that you’ll need to grow your engagement on Facebook. I wish you the very best of luck and I’m sure that if you follow the advice you will get tons of likes comments and shares! Now, what are you waiting for? Go get started!